They all say, we should all take at least one cruise experience in our lives. I couldn’t agree more. The last weekend, has been one of the best ones I have had so far. 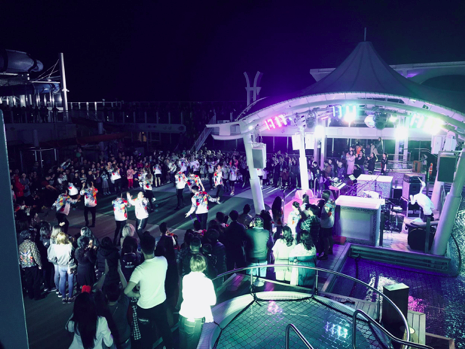 It all started about a week back, when one of our close friends told us about this new Bollywood themed cruise. At first, we just looked past it and didn’t give it a strong thought. Then as the days started to approach, I see a message pop up on my phone from my parents, we are going on the cruise! This brought up my excitement and really got me going. 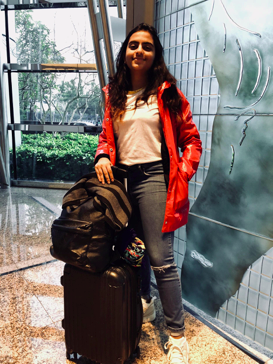 Days got closer and closer, until I knew that it was the first day of Chinese New Year break and the time to get on the cruise. The excitement built up and there it was, the glistening cruise ship was standing in front us. We got on and it seemed like another world inside of it. With our bags, we walked down the long lane of cabins to look at our room. It seemed nothing less than a real hotel, but instead, in the middle of the sea. Today wasn’t just a relaxing evening, as we thought, where all you do is roam around the pool and go to bed. There was enough planned for us today to keep us going and awake until 12 am in the morning. We freshened up real quick until some of us got the tickets to the stage show called, Dulce Habana. It was covering a short musical about a love story between a Cuban man and woman. Shown through the many colors, sounds and enlightening vibe of Cuba. It was a great start to the trip, and I completely forgot that this Opera style theater was still on a ship, in the middle of the ocean. Then, there was some leeway time, we could choose to watch the all time classic, 102 Not Out on the movie-theater like screen or even grab a large class of shaved ice, enough to fill 6 stomachs. We chose to do both. Bought the mango concentrated shaved ice, facing the movie on the deck. Soon, we decided to move spots and headed towards the Las Vegas land of Casino’s. Keep in mind, there is a 360 degree bar and 3 floors filled with casino machines, on a cruise ship, still in the middle of the ocean. The experience was breathtaking and all too much to take in at one go. This day ended with exhaustion and enough memories to hug onto before sleeping tight in our rooms. Next, was an early start to a late night. Nevertheless, the enthusiasm was never ending. Yoga with one of the masters at it, a guru to Pure Yoga, Hong Kong, Dileep Puliyolly. 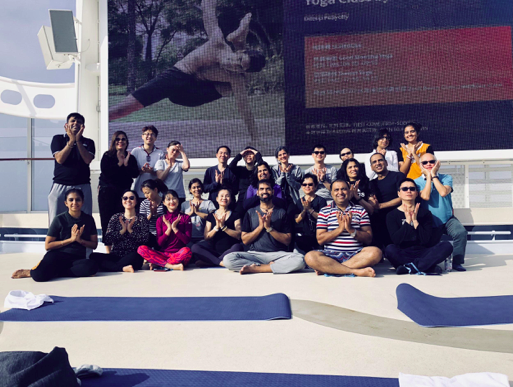 It was great to see not only Indian men, women and kids but also Chinese and other asian communities getting involved and develing in the beauty of Yoga. After this relaxing session, we moved forward with our growling stomachs towards the smell of splendid food spread across 2 decks with buffet, covering the world of international cuisine, something that excites everyone. Then, as soon as possible, we followed the vibration of the loud bollywood music that was attracting all of us towards it. Standing in front us was, Piyush Malhotra, India’s top choreographer that has attended some of the well known TV awards on world television, choreographed sangeets of some of the well known actors in the industry and has also collaborated with actors like, Hrithik Roshan and Mika Singh. This was one of the many sessions that I had attended throughout the course of the trip. Then came the cooling off part after this long and fiery Zumba session – it was time to hit the pool! We went through 5 water slides, each with a different twist to it and two that even had a straight drop. It was like a mini water park, on board! After some relaxing, prepared and decked up for another show called, Faith. It is one of the newest editions on the listing of shows. That covers hardships and fruitful achievements focusing on one’s success story and fulfilling dreams. Given off with stunts and opera voices that kept the entire audience at the edges of their seats and constantly clapping. As dawn started to apporicah, next on the itinerary was the laser show that gave the entire ship a different feel to it – accompanied by some of the greatest tracks of Michael Jackson that got everyone on board onto their feet and dancing. This was just a preliminary round to the main event of the night, DJ RINK disco night. 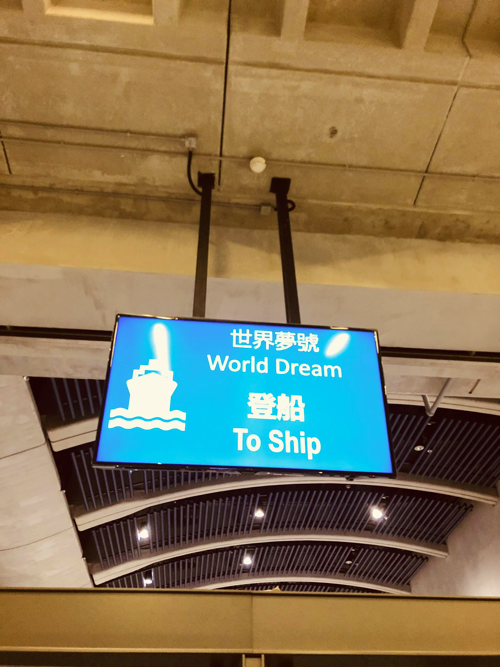 Though, right before all of us headed towards deck 7 to change things up and eat some of traditional chinese dishes and some indian cuisines. This was not it though, before that we had a quick round of snacks at the Khau Galli, Indian street food that got all of us nostalgic and excited, at the same time. 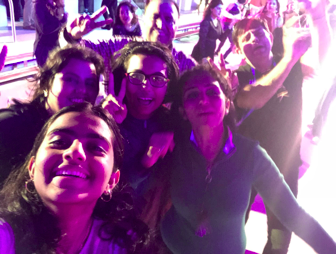 After a fill stomach and a mind full of energy, we headed towards the disco party, facing the sea and wind hugging our bodies, DJ Rink was set to go. From 11 pm all the way until 2:30 am in the morning the crowd was wild and DJ Rink’s energy was everlasting. One of the best nights of my life. These last few days are memorable and I couldn’t have asked for anything better. We were well taken care of, back to back fun events, spended flavours and varieties of cuisines giving a treat to our taste buds, all of this on one ship, in the middle of the sea. I can’t agree more with the quote, “Cruising has two pleasures. One is to go in the wider waters from a sheltered place. The other one is to go into a sheltered place from wider waters”.